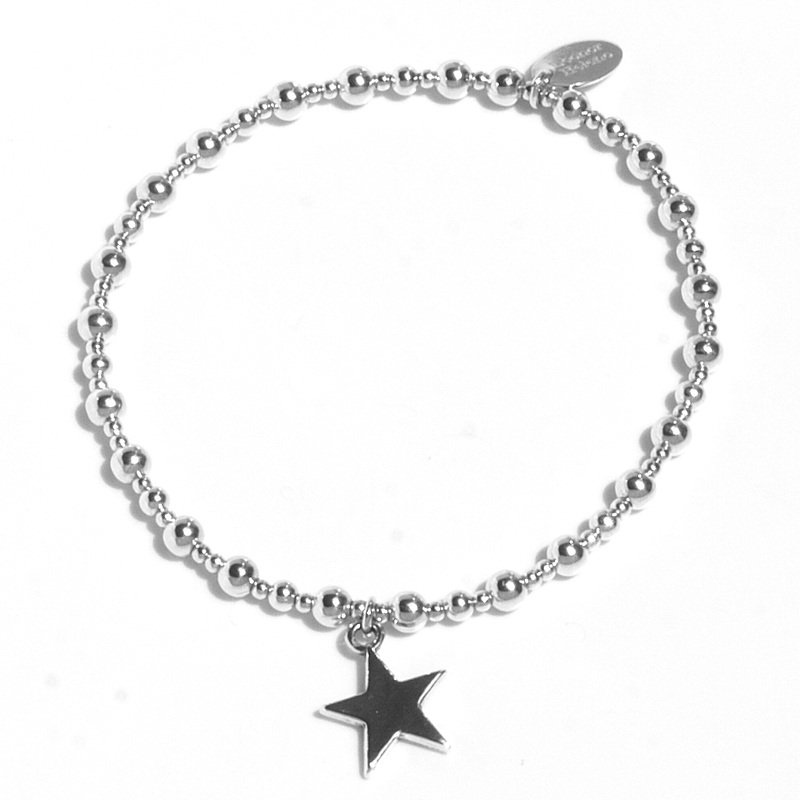 Beautiful silver Sterling Bracelet with 4mm, 3mm and 2mm beads and a Star Charm. Size 19 cm. If you need a different size please contact us using the form below.